Several members of the Stevens County Cattlemen were joined by Okanogan County Commissioner Jim DeTro and Seventh District State Senator Bob Morton to testify before the Washington Fish and Wildlife Commission meeting on Oct. 5. The group took large photos with them to illustrate the extent of the damage wolves caused cattle at the Diamond M Ranch this summer. Several members of the Stevens County Cattlemen’s Association (SCCA) submitted testimony to the Washington State Fish and Wildlife Commission last Friday on the resurgence of Gray Wolves in Eastern Washington. The Commission hearing on Oct. 5 included an update from the state Department of Fish and Wildlife (WDFW) on the removal six members of the Wedge wolf pack. 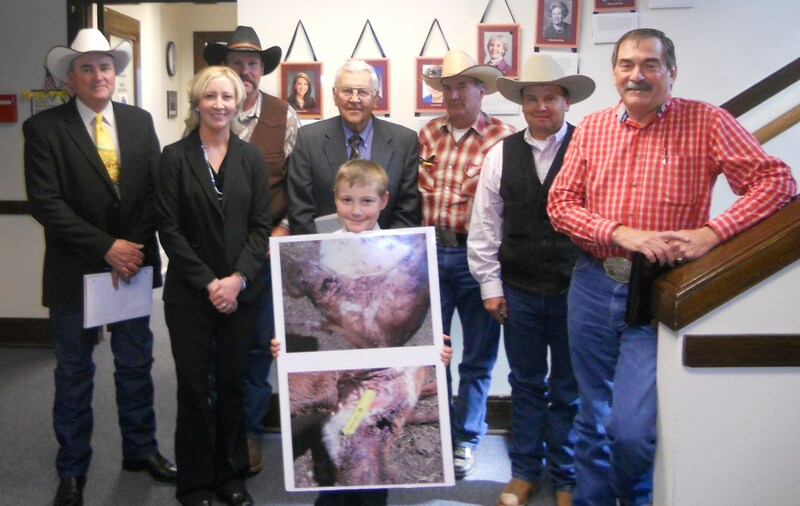 The removal was approved by the Commission due to the persistent attacks on cattle by the Wedge wolves. The Department also outlined how they plan to address future wolf conflicts, including asking producers to sign management contracts with the Department in exchange for non-lethal cost-share provisions. 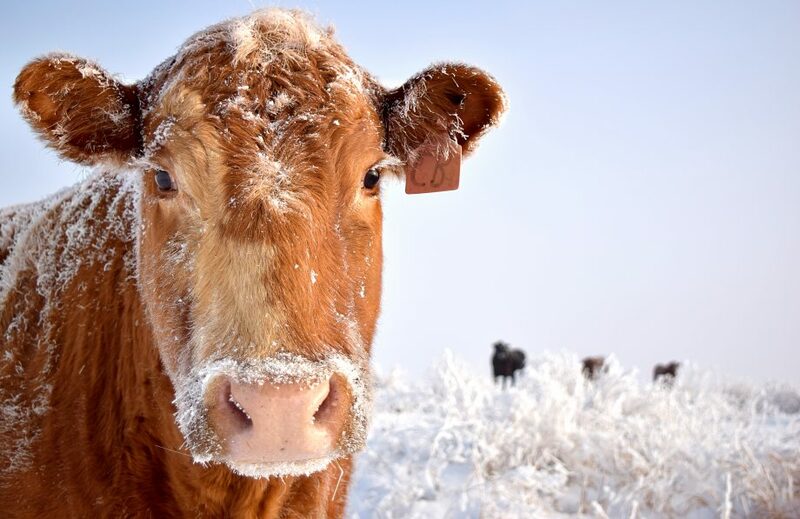 SCCA is vigorously opposed to the WDFW management contracts due to the limitations they put on the rancher, including an inability to file for livestock compensation for a one-year period. Instead, SCCA is encouraging producers to work together toward the common goal of delisting the wolf so it can be managed the same as other predators, including cougars, bears and coyotes. At the hearing, SCCA thanked the Commission for fulfilling their commitment to remove the Wedge pack that was consistently preying on cattle as their food source. The Wedge pack killed 10 calves this summer and wounded eight others on the Diamond M Ranch. Rancher Bill McIrvin, of the Diamond M, also noted that Commissioner Gary Douvia and WDFW Director John Anderson made efforts to dispel the myth that the Diamond M did not work with the department. SCCA member and Cattle Producers of Washington Vice President Dave Dashiell also shared with the committee how non-lethal measures, like guard dogs, are not a cure-all to wolf depredations. In all, every member of SCCA, Okanogan County Commissioner Jim DeTro and Senator Bob Morton requested that the Commission consider delisting the wolf in the Eastern Washington region so more tools would be available to handle the inevitable challenges with the nine wolf packs that reside in the area. The testimony from SCCA starts at 2:59.